Running 21 minutes late after a boat ventured into restricted waters in the Atlantic Ocean, the dual-payload mission took off at 2216:08 GMT (6:16 p.m. EDT; 7:16 p.m. French Guiana time) from the ELA-3 launch pad at the French-run Guiana Space Center. quickly climbed into the sky atop 2.9 million pounds of thrust, then steered eastward and picked up speed. The 180-foot-tall (55-meter) broke the sound barrier in about 48 seconds, then ascended through a thin transparent cloud layer as sound from the rocket rumbled across the jungle spaceport on the northern coast of South America. Two 103-foot-tall (31.6-meter) solid rocket boosters split away from the sides of the Ariane 5 rocket’s hydrogen-fueled core stage at T+plus 2 minutes, 22 seconds. About one minute later, after the rocket’s passage through the perilous dense lower atmosphere, the Ariane 5’s Swiss-made nose fairing jettisoned in two halves like a clamshell to reveal the tandem Intelsat spacecraft. The main stage’s Vulcain 2 engine turned off about nine minutes into the mission, and the Ariane 5’s upper stage HM7B powerplant took over for the next phase of the flight. 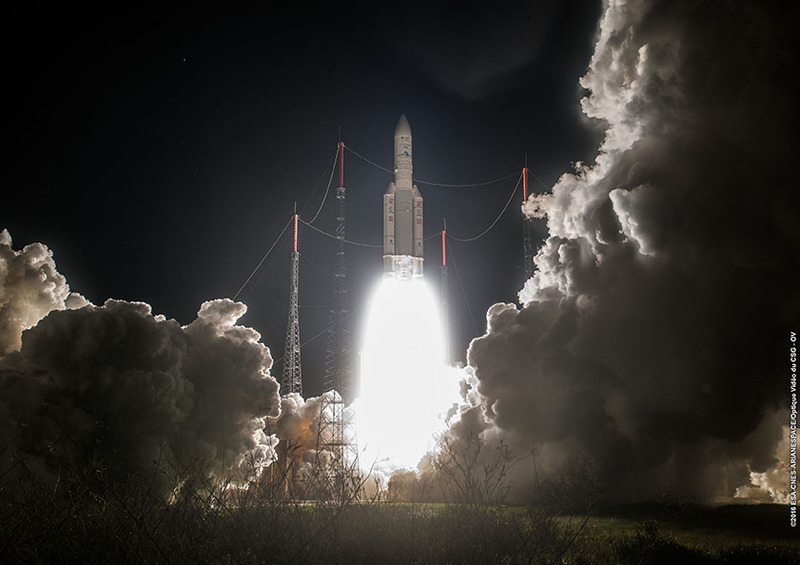 The HM7B engine shut down around T+plus 25 minutes, then the Ariane 5’s flight computers pointed the rocket for deployment of the two payloads. Intelsat 33e, made by Boeing, separated first from the upper segment of the dual-satellite stack. A few minutes later, a Sylda adapter jettisoned to reveal the smaller Intelsat 36 platform, which sprung away from the rocket at T+plus 41 minutes, 50 seconds. Both satellites radioed ground controllers soon after separation, and Intelsat officials said the new spacecraft are in good health. “Arianespace is delighted to announce that Intelsat 33e and Intelsat 36 have been separated as planned in the targeted standard geostationary transfer orbit,” said Stephane Israel, chairman and CEO of Arianespace, the Ariane 5’s commercial operator headquartered near Paris. Intelsat, one of the world’s largest commercial satellite operators, booked the whole capacity of Wednesday’s Ariane 5 launch. 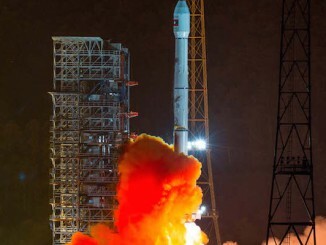 Ken Lee, Intelsat’s senior vice president of space systems, was sure of the decision before the launch. 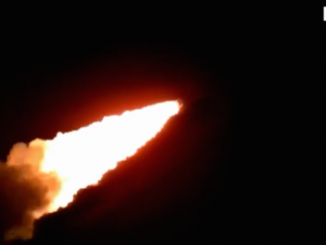 The gamble paid off, and the Ariane 5 rocket put both satellites in a good orbit, with parameters near the preflight target altitude between 155 miles (250 kilometers) and 35,879 kilometers (22,294 miles) above Earth. The satellites are circling Earth on a path tilted 5.9 degrees to the equator, slightly better than the predicted inclination, according to tracking data released by the U.S. military. “For the fourth time this year, we have had a flawless mission for Ariane 5, and it is the 73rd success in a row of this rocket,” Israel said. Both spacecraft will fire on-board thrusters in the coming weeks to reach their final operating positions in geostationary orbit. At an altitude of nearly 22,300 miles (35,800 kilometers), the satellites will fly around Earth’s equator at the same speed the planet rotates, allowing the platforms to see the same part of the world at all times. The 14,550-pound (6.6-metric ton) Intelsat 33e satellite, based on Boeing’s 702MP platform, will conduct its orbit-raising maneuvers between Aug. 27 and Sept. 4, then extend its power-generating solar arrays and enter service around Nov. 1 after checkouts of its sophisticated Ku-band and C-band communications payload. Fitted with more than 70 beams and the equivalent of 269 Ku-band and C-band transponders, Intelsat 33e is the second of seven new-generation “Epic” satellites ordered by Intelsat. It will replace the Intelsat 904 spacecraft — launched by an Ariane 4 in 2002 — at 60 degrees east. Intelsat 33e’s launch Wednesday came about seven months after Intelsat 29e, the first Epic satellite, blasted off on another Ariane 5 mission. “This one is significantly more capable,” Lee said. “I would say it has more capacity. We design ‘Epic’ satellites to serve different functions and different missions, so there are different frequencies, but in terms of the underlying flexibility, the capability is the same. Intelsat officials say the “Epic” satellites will allow the company to tap into the growing mobile communications market, reaching customers on the road, airplanes and ships. 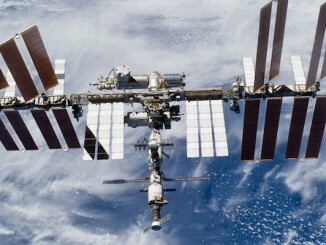 That is a market currently dominated by other satellite operators, such as Inmarsat. 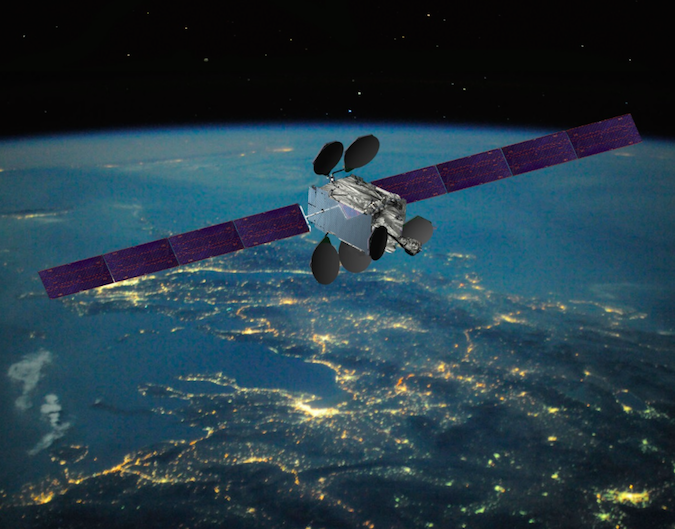 The all-digital payload aboard Intelsat 33e — and other “Epic” platforms — give Intelsat the ability to quickly adapt the satellite’s bandwidth between different locations. For example, with a simple command from the ground, operators can reduce bandwidth in the middle of the night in one area and focus capacity in regions hosting special events, such as the Olympics. The digital payload will be introduced on the next set of U.S. Air Force’s Wideband Global SATCOM satellites set for launches beginning later this year. The 7,171-pound Intelsat 36 satellite launched in the lower position on Wednesday’s Ariane 5 flight is kicking off a 15-year mission to distribute video programming across sub-Saharan Africa and South Asia. 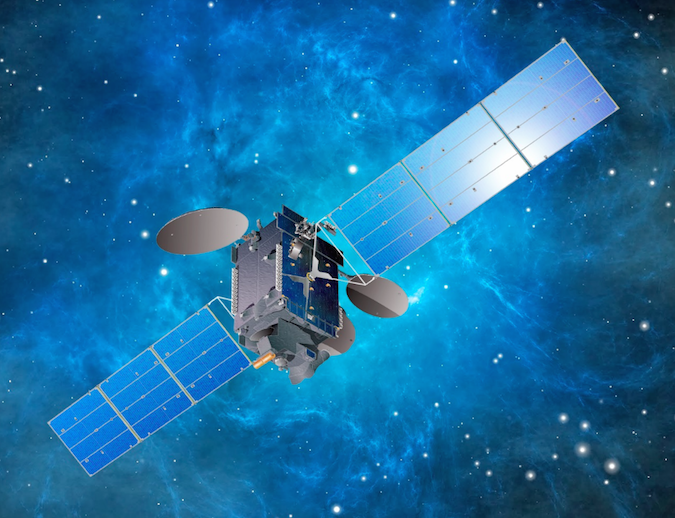 Built on a short 24-month schedule by Space Systems/Loral, Intelsat 36 will boost its orbit to geostationary altitude between Aug. 25 and Aug. 30, then start commercial service in October, Lee said. Carrying 34 Ku-band and 10 C-band transponders, Intelsat 36 will maneuver to a post at 68.5 degrees east longitude, where it will join the Intelsat 20 satellite relaying television broadcasts. “Intelsat 36 will enhance our video neighborhood at 68.5 degrees east, strengthening our media distribution for our customers in South Asia cable community, and in particular in sub-Saharan Africa with our long-standing customer MultiChoice,” Lee said. The launch of Intelsat 36 will help accelerate the transition from analog to digital television in South Africa, Lee said. Wednesday’s double launch for Intelsat, a first for the historic operator, was dedicated to Brian Sing, a respected Intelsat program manager who died suddenly in early August. Sing passed away shortly before traveling to French Guiana to help prepare for Wednesday’s launch. The next Arianespace launch is scheduled for Sept. 15, when a solid-fueled Vega booster will loft the PeruSat Earth observation satellite for the Peruvian government and four commercial imaging craft for Google’s Terra Bella subsidiary. 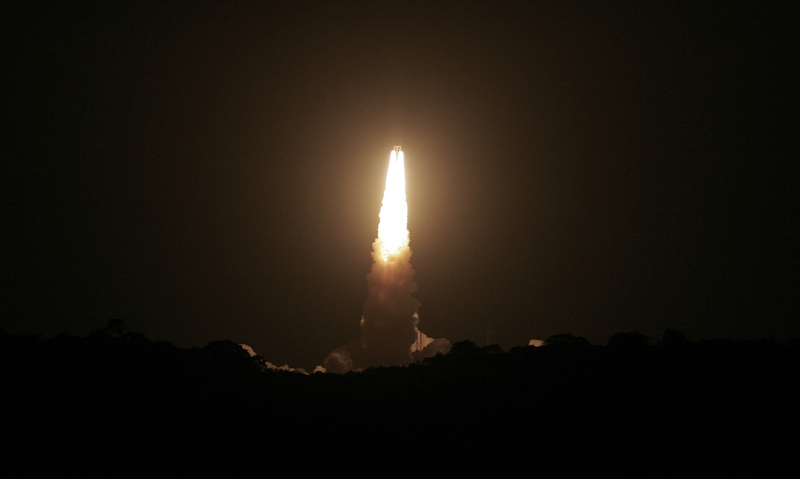 The next Ariane 5 mission is set for Oct. 4 with Australia’s Sky Muster 2 and India’s GSAT 18 communications satellites.